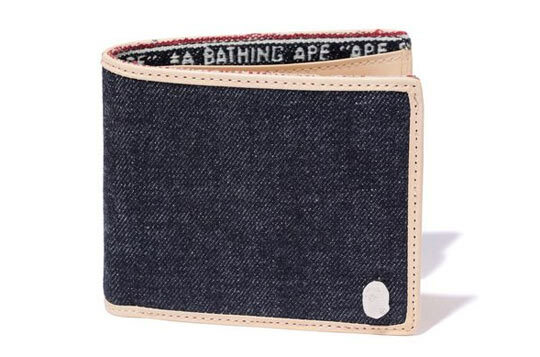 I'm liking this BAPE bi-fold wallet a lot. 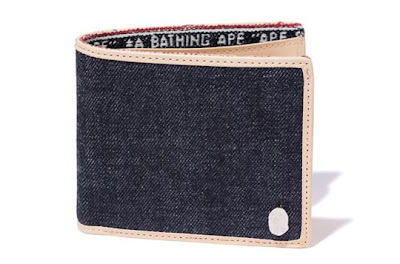 Raw denim exterior, offset with premium leather interior featuring 3 card slots and a change purse. Wish they would have released this back in February so it could have been in the 2011 Wallet review I did! Regardless - look for this word to drop at select BAPE retaliers shortly. Pic via High Snobiety.